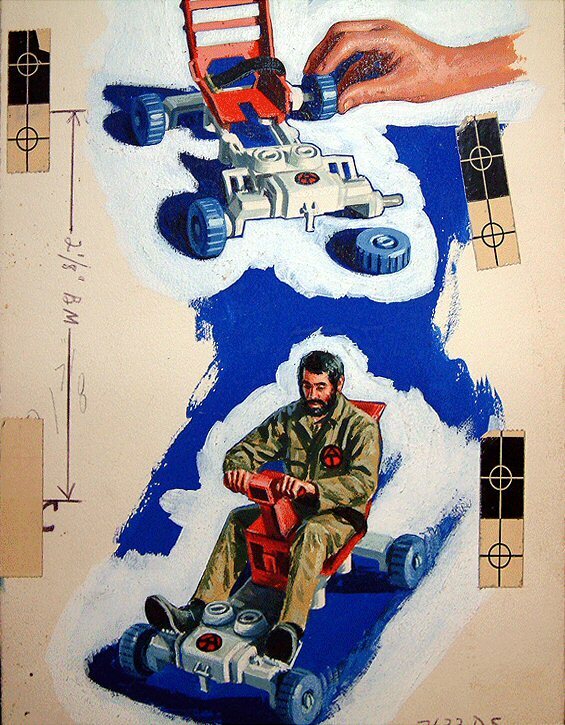 I’m going deep down in the trenches of GI Joe history, so consider yourself warned. 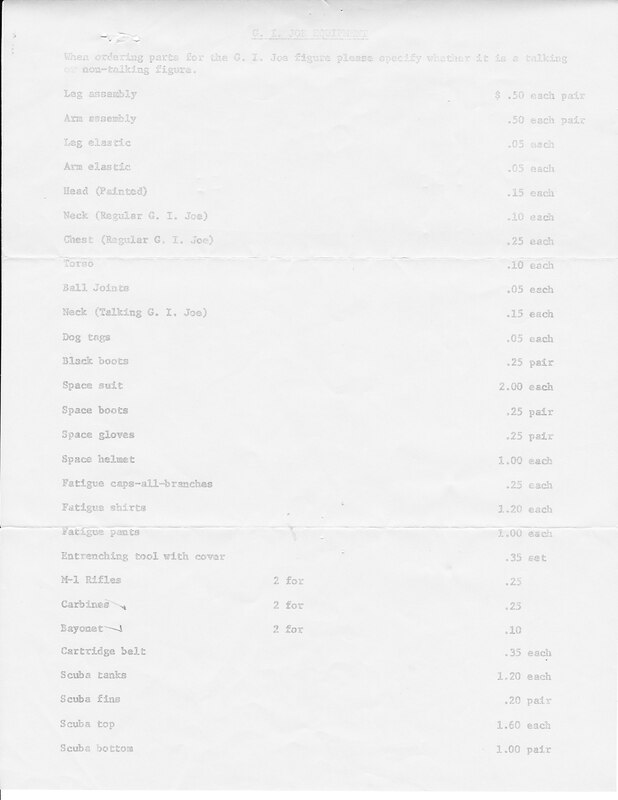 The first page is a list of suggested retail prices of what should be available at stores. 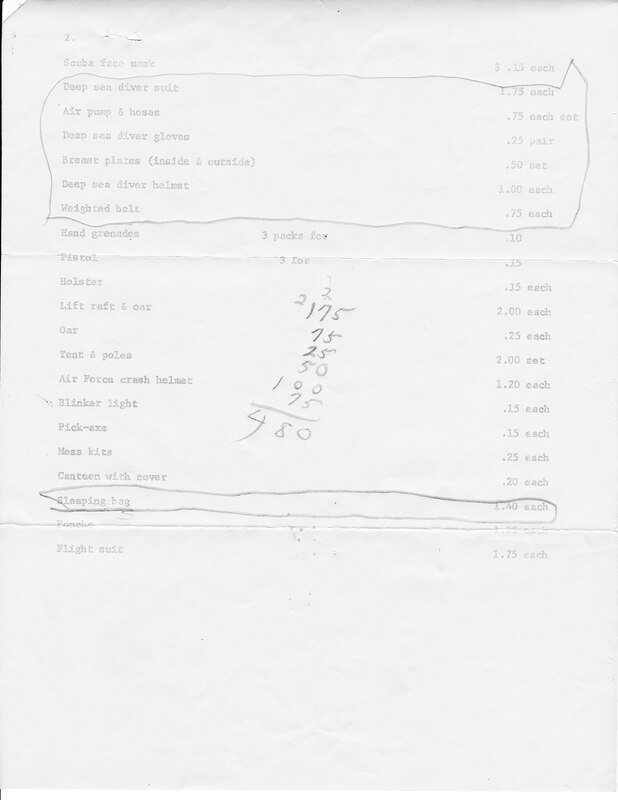 It’s quite early in the Adventure Team run of GI Joe, as the lineup is very basic – all they list are the core figures, the bigger boxed sets, the Action Pack accessories, the classic ATV, and the perennial foot locker. It also includes some leftovers from the 1964-1968 Military and 1969 “Adventures Of” series that didn’t carry on into the 70s. Wouldn’t you like to go back to 1970 and pick up a Mouth of Doom for $7? If you brought back a few cases of Flying Space Adventure at $9.50 per set, you could buy yourself a pretty nice car with the proceeds from selling them now. Two things I noticed: Hasbro refers to the “Man of Action” figure as simply “GI Joe”, and there’s one thing missing….the Five Star Jeep. Does this mean that there was a time, however brief, it wasn’t in the lineup? That concludes this trip down memory lane. My collecting friends can discuss this in the usual places. …and what have I done? Not create any kind of consistent writing schedule, that’s what. But I would like to share one of my favorite holiday things….MST3K’s stirring rendition of “A Patrick Swayze Christmas”. And calling back to my 70s childhood…..no Christmas is complete without something from the GI Joe Adventure Team! So just what is an Escape Car, anyway??? 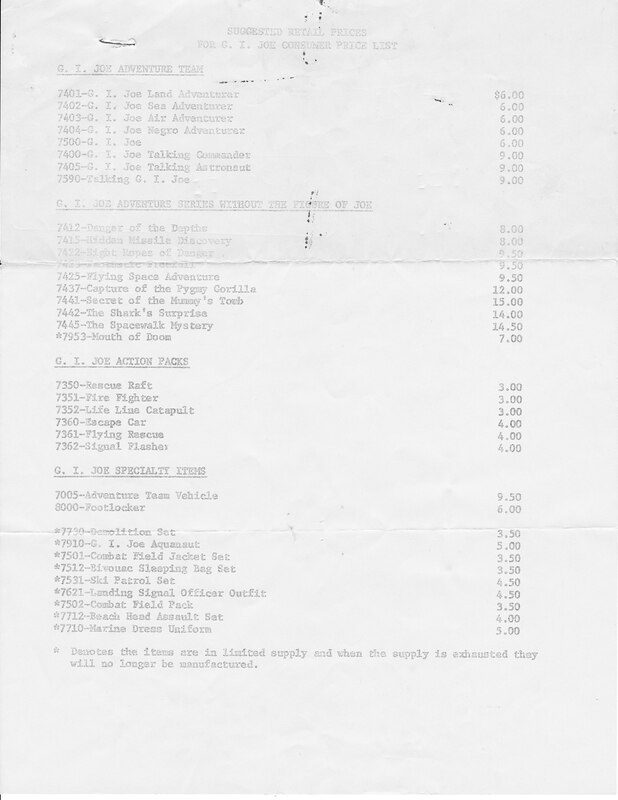 Funny you should ask….the Escape Car was one of the many accessories offered for the greatest toy line of all time, the GI Joe Adventure Team. 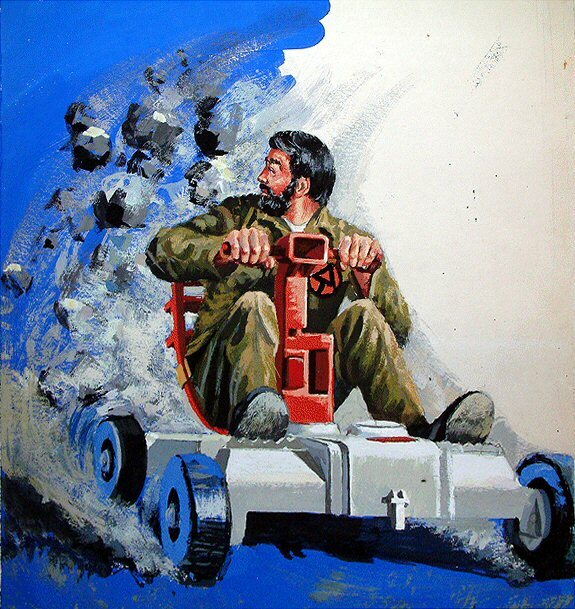 Basically, it’s a funky little four-wheel scooter GI Joe could fold up and carry on his back. Hey, I thought it was the coolest thing in the world in 1972, but I was seven years old, and had yet to discover girls and music. Today, I have a pretty extensive collection of 70s GI Joes and accessories, and I will eventually share some pictures, but most of it is boxed up. The unboxing is my plan for the post-Christmas part of this winter. If you want to see more of this stuff RIGHT NOW, I highly recommend my friend Barry Kay’s site, ATGIJOE.com. If it exists, Barry has it, or once had it and sold it in order to buy other, even cooler stuff.